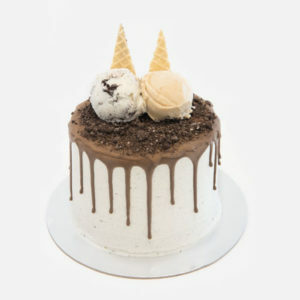 For those that love sweets look no further. 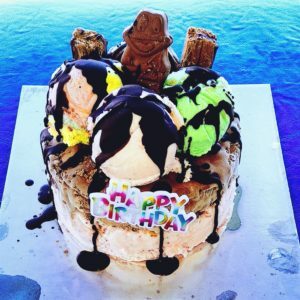 This is a fantastic cake for the child or child at heart! 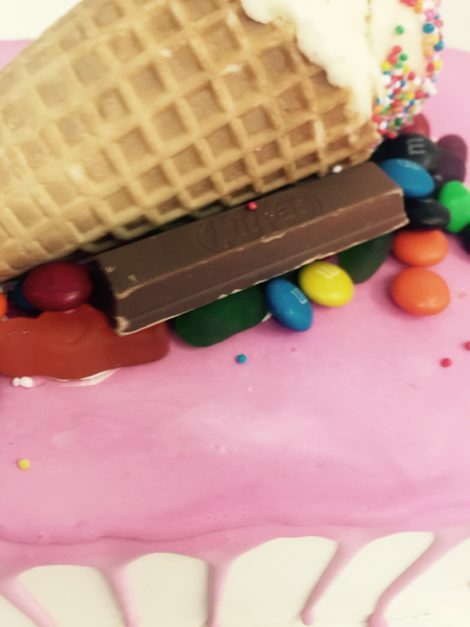 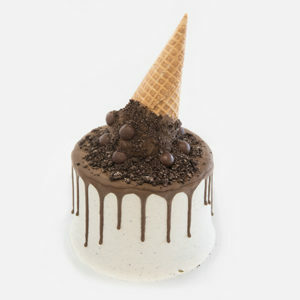 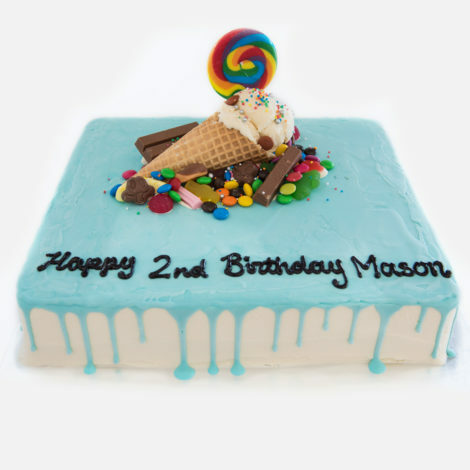 This cake is loaded with lots of different lollies on top and delicious ice cream inside – what more could you want! 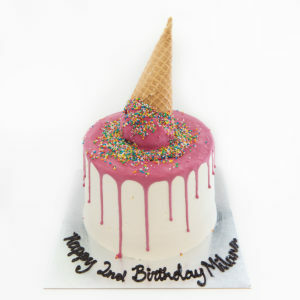 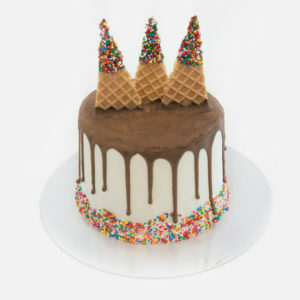 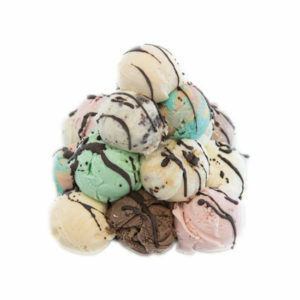 Topped with an ice cream cone, ice cream and a beautiful lollie pop and lollies as far as the eye can see…just perfect. 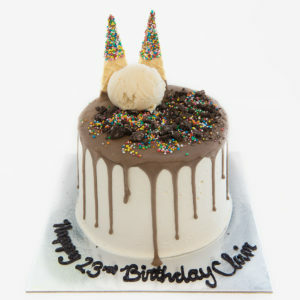 Cake pictured is a 3.5 rectangle shape and can also be made with other colour tops. 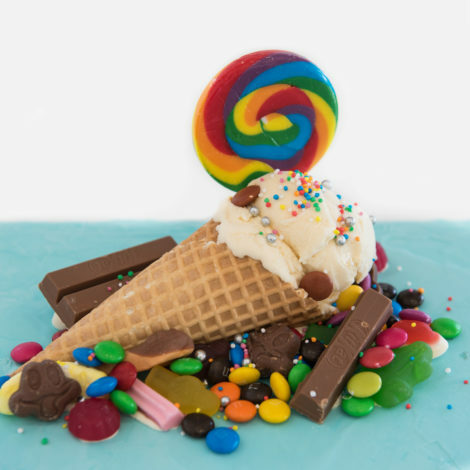 Lollies may vary at time of order. 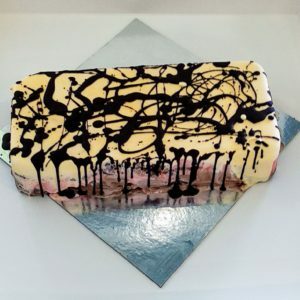 This is the colour you would like as the top of the cake.